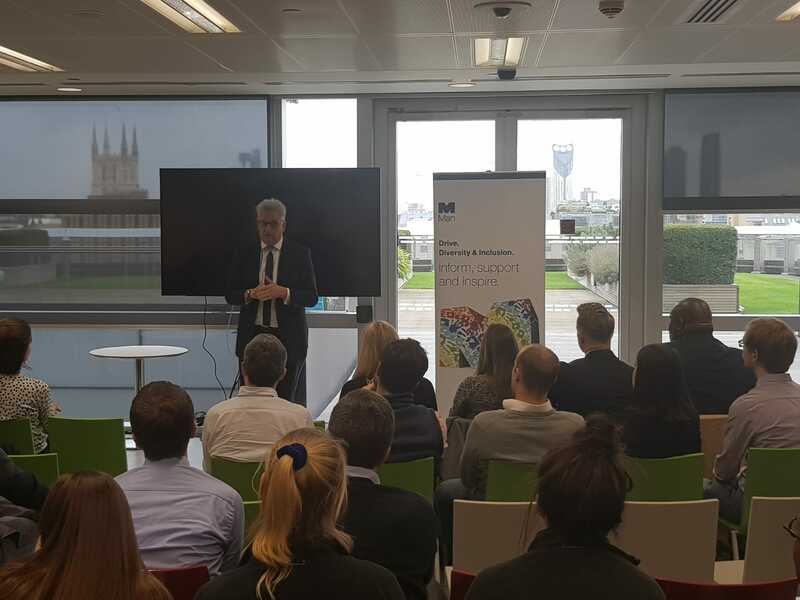 Fantastic afternoon yesterday at the launch of Man Group – Active Inclusion Recruitment Strategy. E2W Members take note: Man Group believes in diversity because it is the right thing to do, because it makes them a better place to work and it makes them a better business. They pride themselves on the quality of their people. They seek to attract and retain the best people, and to ensure everyone has the opportunity to reach their full potential. Recognising that positive action is required within the recruitment process, Man have implemented an ‘active inclusion’ recruitment strategy. They have partnered with E2W Limited with the knowledge that along with helping them identify the best female candidates for their roles, E2W will also help them in connecting, engaging and better understanding the aspirations of our community to ensure their strategies succeed. Picture Mark Freed presenting to Man Group hiring managers. Meet the team from HM Treasury behind the Women in Finance Charter. Charlie Fox Introduces you to E2W’s Outsourcing Business.